Thanksgiving is a time to remember all the good things God has graciously given to us. But sometimes the craziness of the season can keep us from taking time to thank God for his many gifts. 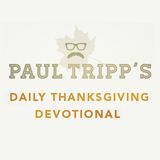 With encouraging devotions from Paul David Tripp, these short devotions only take 5 minutes to read, but will encourage you to meditate on God’s mercy throughout the day. 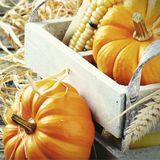 Walk through this Thanksgiving season with Dr. Young's 7-day Thanksgiving devotional. A daily passage accompanied by commentary from Dr. Young will help you reflect on all you have in Christ to be thankful for this season! Thanksgiving brings to mind savory turkey, tart cranberries, and mouthwatering stuffing. And we mustn't forget the pumpkin pie! 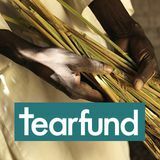 This 5-day study, brought to you by Tearfund, attempts to help us appreciate this season beyond its commercial value. Over the course of twelve days, you will be led to thank the Lord for all He has done! From Salvation to grace, His Holy Spirit, marriage, children and beyond, time will be taken to intentionally offer a sacrifice of Thanksgiving to the Lord for His unending love and mercy upon us. We are quick to pray when we are in crisis or desire something from God. How about taking time to think about why we should praise Him or be thankful? 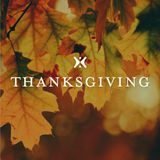 In this Thanksgiving season, Influencers encourages you to join us in 40 days of Thanksgiving. 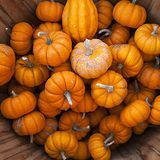 To help you, we will give you "40 Reasons for Thanksgiving". It will be a refreshing time and will bless your heart. This plan is designed for you to engage with passages in God's Word that either express true thankfulness, or highlight stories of thankful people. May this plan encourage you to be thankful, and inspire you to give praise to God for all He has done! 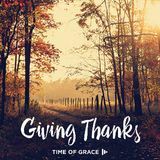 The goal of this track is to take you through 7 days of thankfulness. 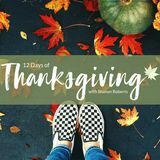 We want to help you explore different aspects of thankfulness and help make you aware of the need for being more thankful every single day. What’s in a name? The many beautiful names of God reveal something about who he is and why he functions the way he does. Names of God – specifically written to help us focus on our Lord during the Thanksgiving and Christmas seasons – walks us through the study of six of the names God has given himself. Time is spent looking at the truths these names reveal about God, and how this knowledge should practically impact our everyday decisions, emotions, and relationships. Love God Greatly is an online community of women which exists to inspire, encourage and equip women all over the world to get into God’s Word on a daily basis. Each day you can join our online community by participating in our Monday-Wednesday-Friday corresponding blog posts at LoveGodGrealy.com. We invite you to join other women from around the world on Facebook: Love God Greatly, Instagram and Twitter by using the #LoveGodGreatly and share your daily insights with us. Thomas Merton once wrote that “Our knowledge of God is perfected in gratitude and thanksgiving." 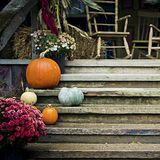 The theme of these guided audio meditations is thanksgiving. A season very much in accord with the teachings of Jesus. These meditations are solemn moments for you to to be still and set aside quiet time to express the grateful feelings of your heart. Mindful times to rejoice and silently reflect over all God has done. 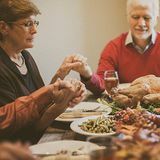 The Thanksgiving holiday is the perfect opportunity for your family to reflect on God’s abundant blessings and express your thankfulness to Him and to the people around you. 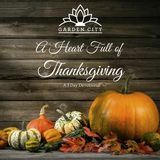 Buck Denver & Friends bring a fun spin to your Thanksgiving week, with short devotionals for each day – Sunday through Saturday – to help you understand the history of the holiday, read verses that express gratitude to God, and reflect on what you are thankful for this time of year. Each day includes a short video, verse and reflection. What’s in a name? The many beautiful names of God reveal something about who he is and why he functions the way he does. Names of God – specifically written to help us focus on our Lord during the Thanksgiving and Christmas seasons – walks us through the study of six of the names God has given himself. Time is spent looking at the truths these names reveal about God, and how this knowledge should practically impact our everyday decisions, emotions, and relationships. “For what higher, more exalted, and more compelling goal can there be than to know God?” ~ J.I. Packer. Come join us as we get to know God more fully and spend time adoring him for who he is. God shows himself to us through his names because of his great love for us. We, in turn, have the privilege of loving, worshipping and resting in Him on an even deeper level during this reflective time of year. Journal with us as we go through this study for the next six weeks…reading and writing what God speaks into our hearts. 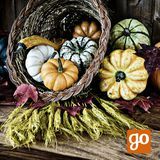 Bible Reading Plan to Celebrate Thanksgiving! Thanksgiving Day is almost here! It all started in the 17th century among Christian families in the USA. They chose the fourth Thursday in November to thank God for his blessings on each and every day. Thanksgiving celebrations are spreading to other countries. Christians in general, families, churches and Christian organizations get together to thank God for his blessings. God’s Word teaches us and encourages us to be grateful. So, get ready to celebrate Thanksgiving Day, and follow this Bible reading plan. May the Lord be with you along the way! Gratitude turns what we have into enough. This four-day Bible Plan from Life.Church will help you discover a more grateful perspective. 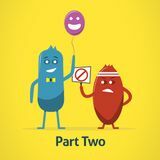 Start reading part two of the six-part Stay Positive series. How often are we guilty of focusing on what we don't have rather than reflecting on everything that God has blessed us with? As God's children, we have much to be thankful for. This reading plan will help you think more deeply about who to thank for all good things--your God. 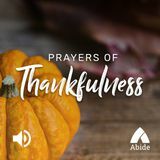 These Thanksgiving videos help us look back at the amazing things we can be thankful to God for, as well as look to him with eyes of faith for our future. Are we raising thankful kids? It’s a constant struggle, but God’s Word gives us tips for putting gratitude back into our family's attitudes! As we model the attribute of gratefulness, our kids will learn life-long lessons. Over the next 5 days, we’ll share tips and activities for nurturing a thankful heart in yourself and your kids. 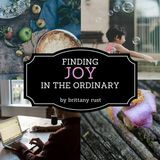 How do you find joy in the ordinary, in your suffering, and no matter what the circumstances may be? Learning to have joy in these seasons can be one of the most valuable lessons you could ever learn. Come discover how you can find joy in all things.